Summer loons are large black and white checkered aquatic birds that return to Pawtuckaway Lake to nest and raise their young year after year. Pawtuckaway typically has two pairs of breeding loons that return to their customary territory each year. Their distinctive calls and habits make them unique visitors to our lake and their welfare is of prime importance to residents and vacationers. 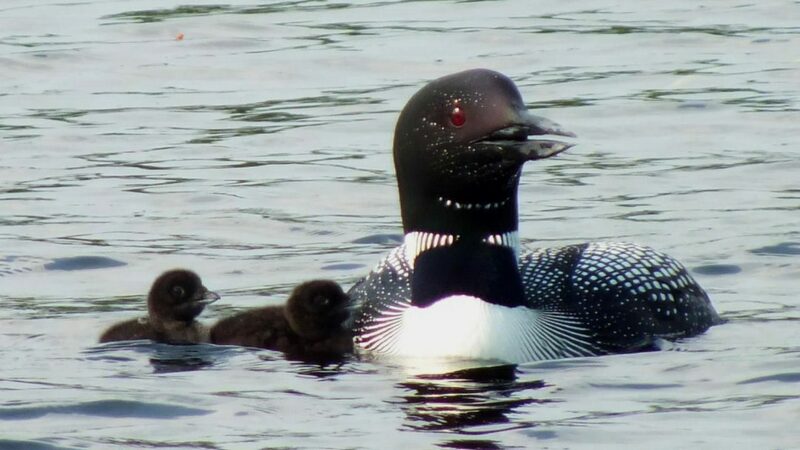 People have captured “our” loons on camera and have shared those images with us, as you can see on the Wildlife Photos page of this website. These signature birds are symbolic of undisturbed nature; their calls have been likened to the “wail of the wilderness”. They are categorized as a ‘threatened species’ and their nesting sites are protected by law. The Loon Preservation Committee (LPC) was created initially to respond to the decline in New Hampshire’s loon population. Since its inception in 1975 it has grown and developed into an organization with expertise and resources available to help protect and preserve loons and their habitats in the State. Loon biologists are available to respond to concerns about possible injuries to birds as reported by vacationers and residents. 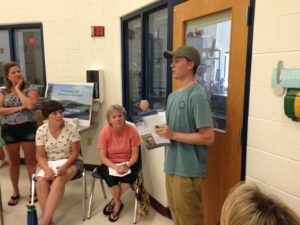 They visit Pawtuckaway Lake several times each summer observing and recording nest locations and numbers of loons and chicks on the lake. They have attended Annual Meetings of the PLIA to provide information and answer questions about loon behavior. They coordinate the annual Loon Census that recruits Pawtuckaway volunteers to count birds at the lake.